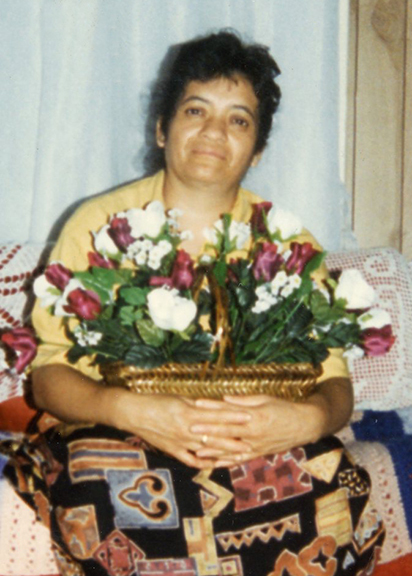 Maria Ortiz, 63, of Beaumont, died Thursday, February 7, 2019. She was born on April 7, 1955, in Mexico, to Esperanza Mendez and Miguel Gonzales. Survivors include her husband, Francisco Ortiz; daughter, Elvia Garcia and her husband, Gabriel; son, David Ortiz; grandchildren, Jonathan Garcia, Josue Garcia, Anna Garcia, Judith Garcia, Lillian Ortiz, Jordan Ortiz, Marley Ortiz, Madison Ortiz; mother, Esperanza Mendez; and numerous extended family members in Mexico. A gathering of Mrs. Ortiz’s family and friends will be from 2:00 p.m. until 5:00 p.m., Sunday, February 10, 2019, at Broussard’s, 2000 McFaddin Avenue, Beaumont. Her funeral service will be 5:00 p.m., Monday, February 11, 2019, at Broussard’s. Her interment will be held at a later date in Guanajuato, Mexico. 2:00 p.m. until 5:00 p.m.